Click on the play arrow to see our performance with a view from two camera angles. April 29, 2017 was a very special day for Lucy and her everydaytaichi students! 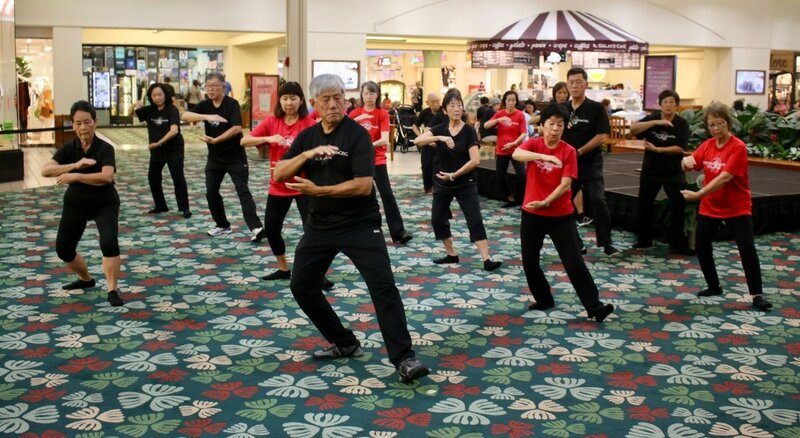 We had the opportunity to share our tai chi at center of Kahala mall for our community. We had an attentive audience seated in front of the Apple store. Many spectators could not help but stop their shopping to take in the relaxing music and gentle flow of energy that caught their attention. For a full hour we began with our warm up exercise, followed by tai chi walk. For five consecutive Yang 24 sets we really got into our tai chi zone. We then moved into the 10 form and ended with Yang 16 for our final two sets. Lucy was able to video edit three different videos that show three different angles of our tai chi performance. We are very fortunate to have our event filmed by Lucy's grandson, Brennan, and husband, Ken. As you will see their camera techniques of panning and zooming added a special touch and personalized our tai chi. Mahalo to Olelo who loaned us the two Sony NX5 television cameras. Our partnership as volunteer producers for our local community media station has helped us fulfil our mission to share tai chi to our local community, as well as to reach out to others, globally. Below, click on the arrow to see the slideshow that captures a few of the many memories we have of our World Tai Chi Day 2017. 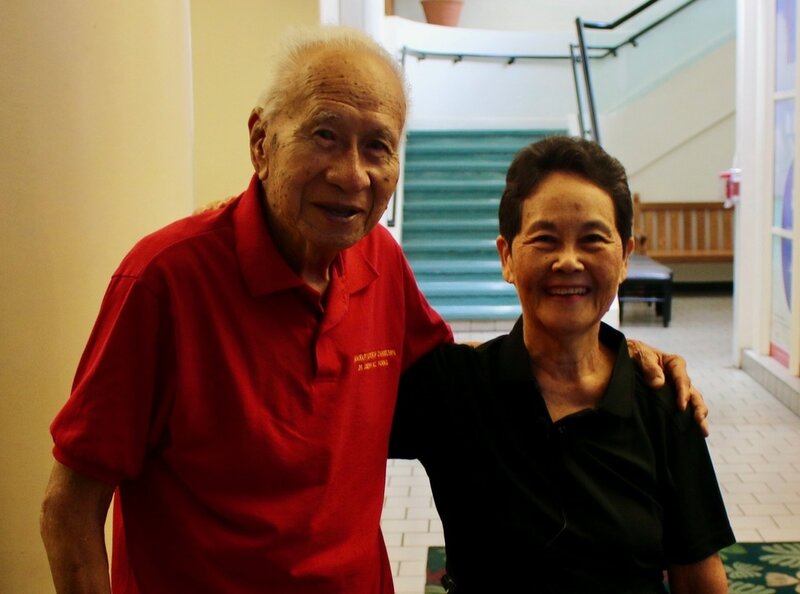 Before our big event at center stage at Kahala Mall, Lucy taught Luk Tung Kuen, aka LTK, down the theater wing of Kahala Mall at 8 AM. 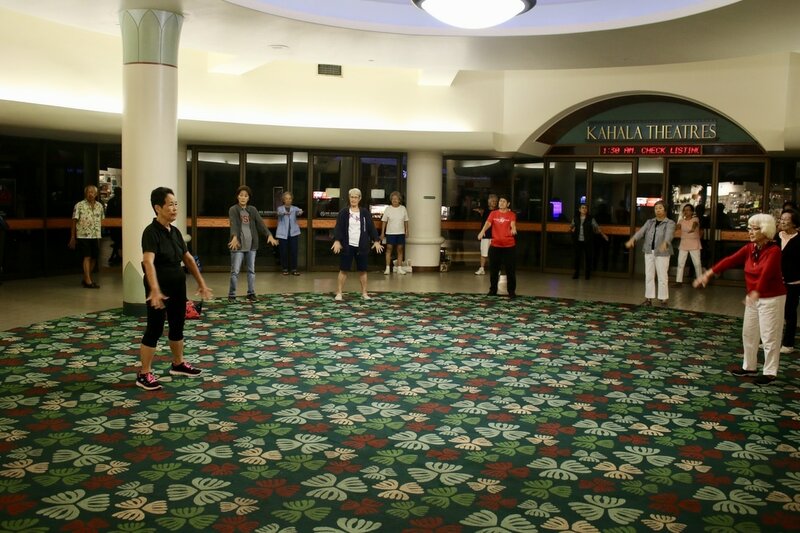 Here are a few photos of this very popular Chinese exercise held three times a week at the mall and once a week at Hawaii Kai Town Center. Teaching Luk Tung Kuen on this day was also very special. In the picture below, just before class begins, Lucy stands with her brother. David, who has just retired, is now an avid LTK participant. How nice to be able to teach my younger brother in our golden years of our life! Last but not least, Lucy was honored to have the Honorable Mayor of Chinatown participate with us at LTK. 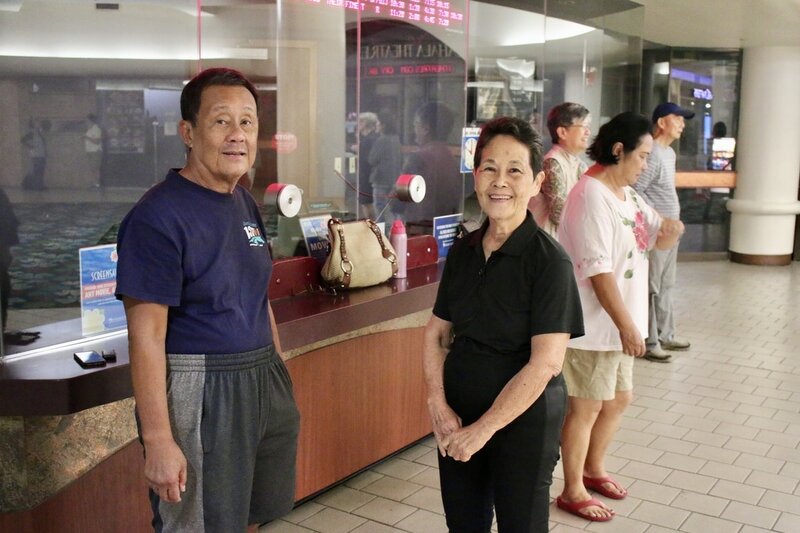 Dr. Joseph Young and wife, Barbara, were in attendance for the very first time at our Kahala Mall site. They were our distinguished guests at our tai chi events, as they, too, are everydaytaichi students. 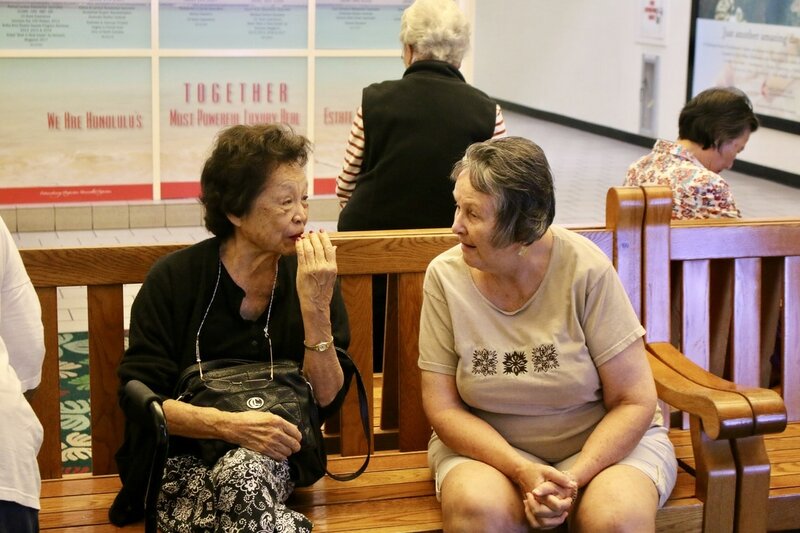 Dr. Young's wife, Barbara is on the left, talking with Lucy's Aina Haina School teacher colleague, Sharon Souza, as we get ready for our Chinese stretching exercise. 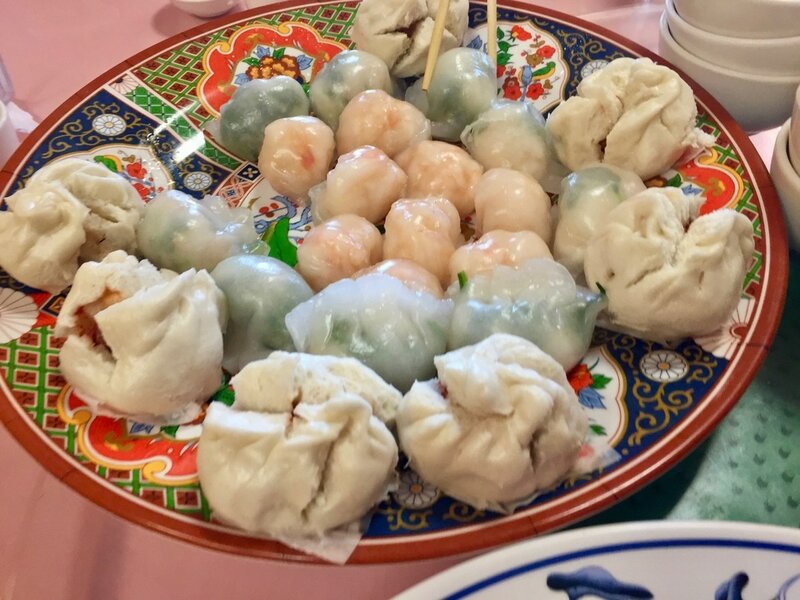 Our dim sum luncheon at Happy Day restaurant brought the perfect closure to our big event where we enjoyed the company of our tai chi family! The slideshow below shows almost all our movements. It also is a testimony that we ALL moved in unison, synchronizing our tai chi. This is absolutely AMAZING! Thank you to Phyllis and Keith for the many nice photos of us!! ​Don't forget...SEE you next year, the last Saturday in April 2018 for our 5th annual World Tai Chi Day at Kahala Mall!